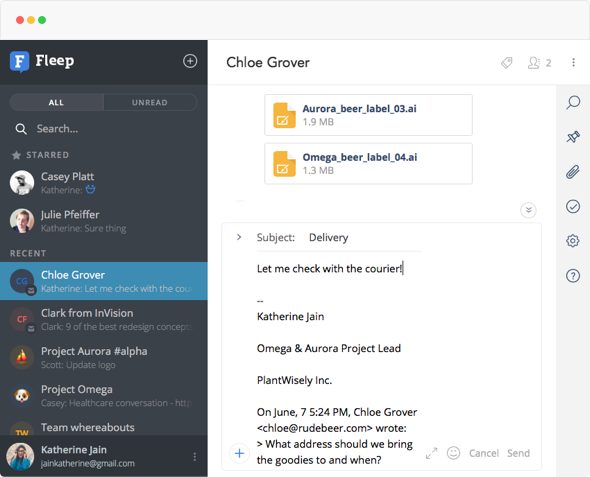 Fleep interoperates with email. 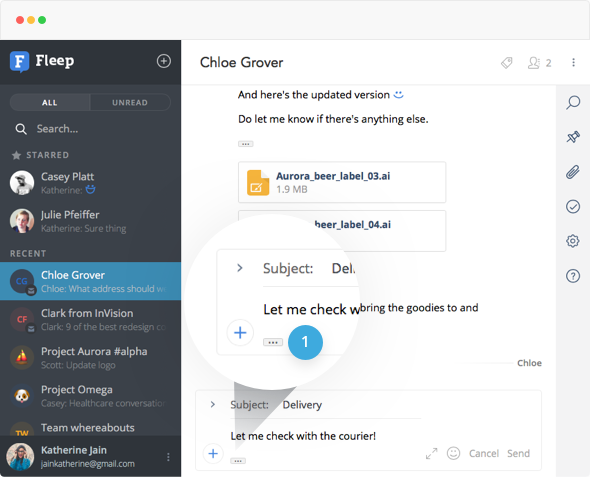 This means that you can send emails to Fleep conversations, include people in conversations via email, and you can also manage your emails in Fleep. 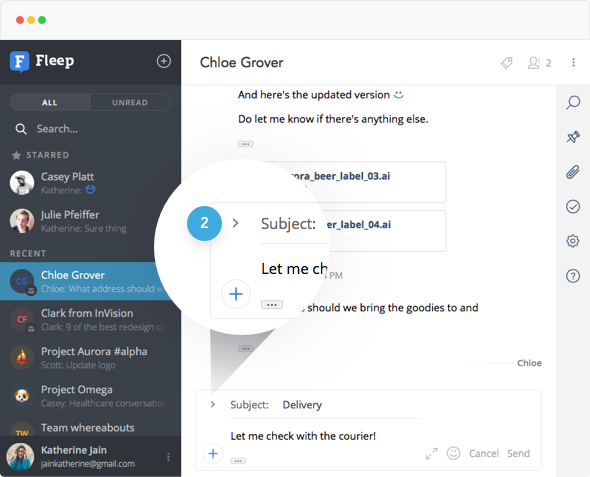 In the recent months, we have made a few improvements to email conversations in Fleep. 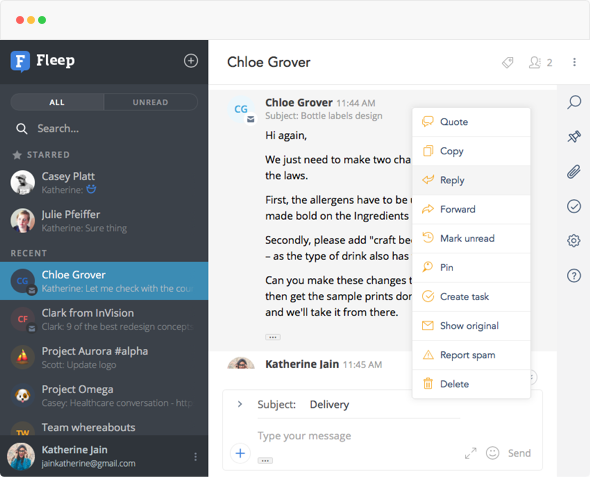 Here’s an overview of the most recent enhancements to email conversations. 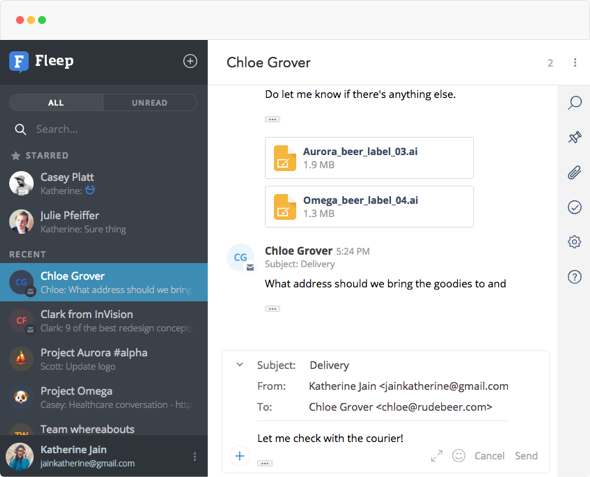 Now when you create a conversation with an email address, a popup appears with two options — you can choose to either invite that email address to Fleep or you can choose to create an email conversation with them. 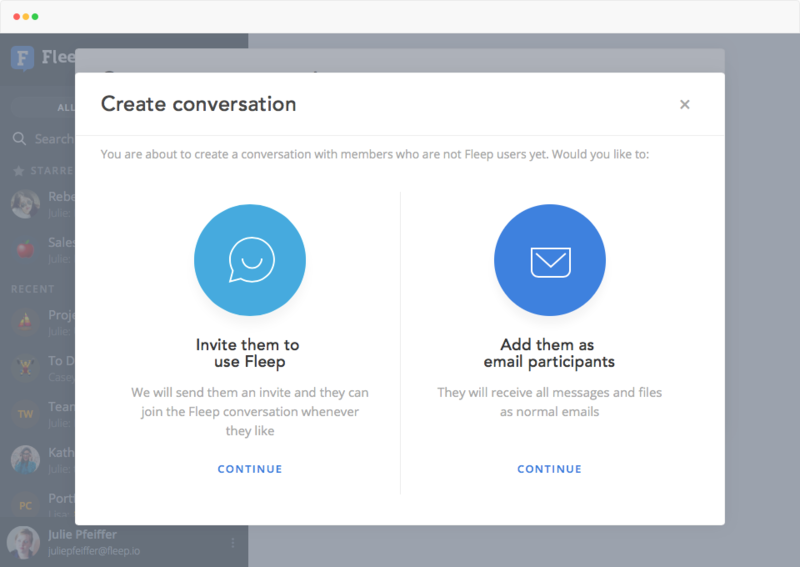 We hope that this makes the experience of creating new conversations with email participants more clear — and it also gives you an easy way to invite people to Fleep. A simple yet powerful feature — you can now choose to reply to any specific email message in email conversations. Previously, you could only reply to the most recent email, and would have to manually edit the Subject and message if you wanted to refer to an earlier email message. As we are working to make email conversations in Fleep easily usable and understood, we’ve now made all quoted messages and email signatures (including your own!) visible in the conversation. Previously, you could see the email participants’ quoted messages and email signatures in the message flow, collapsed and hidden behind a [...] button by default. In order to make it easy to check which email address your email will be sent out from, and who your email is being sent to, you can now check this information conveniently in the message entry box in email conversations. Previously, you’d have to check the conversation members and your Email settings respectively to check such information. Note that all these updates are currently available on the desktop versions of Fleep only—coming soon to mobile apps as well. We hope you enjoy these improvements to email conversations. Report all your bugs, request more improvements and send all the kudos to us at support@fleep.io. You can also follow Fleep for more updates on social media — we’re on Twitter, Facebook, LinkedIn and Instagram.